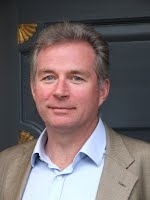 JAMIE, aged 53, Managing Director of Compathy, Harding & Yorke and the Empathy Lobbyist died very peacefully at St. Michael's Hospice, Hereford on Sunday 5th May 2013 after a short illness most bravely fought. Beloved father to Sienna and Jemima and stepdaughter Zoe. Very much loved son of Anne and Jeremy, beloved brother of Sarah, Rupert, Amanda, Jo, Hugo and Lucy, much loved uncle and very specially loved by Georgina, his fiancé and her daughters Anastasia and Henrietta. He will be enormously missed by us all. Throughout his career Jamie Lywood has displayed one very obvious and distinctive desire - that is to search out alternative solutions to age old problems. During his five years in the Army he says ‘I found that my soldiers followed me not so much because of my leadership skills but more out of simple curiosity'. In the 1980's and early 90's he established a very successful art business whose motto was ‘no pre-conceived ideas' and displayed only blank canvasses on its walls. In 1994 he joined Harding & Yorke - then a fledgling company with an idea that many current measures adopted by businesses were at best irrelevant and, at worst, irresponsible. Over the next decade, much of it spent as Managing Director and CEO of the business, he launched new initiatives for Harding & Yorke including consultancy and benchmarking services - all dealing with the measurement and development of Empathy in the corporate environment. In early 2008, the data and findings from the ERIC Benchmarking™ Programme were examined by Jamie Lywood and Professors Merlin Stone and Yuksel Ekinci. Together they were able to declare it as the world’s first service-related metric to directly correlate with profit and at the same time judged the methodology to be 98.9% reliable. Under both his vision and guidance, the business embraced relationships with technology partners, consultancies and media agencies the world over and In 2011, Jamie set up and now runs Compathy Limited. Jamie is well known on the international speaker circuit and publishes numerous Whitepapers and was the key author on an Academic Journal 'Customer Experience and Profitability' - (2009 Palgrave Macmillan 1741-2439 Database Marketing & Customer Strategy Management Vol. 16, 3, 207-214 - www.palgrave-journals.